AWD vs. FWD vs. RWD vs. 4WD: What’s the Difference? The basic difference between the first two drivetrains and the last two is that the first two are two-wheel drive systems, while the last two are four-wheel drive. However, there are differences between each system within its category. This is the most common drive system for passenger vehicles. The average sedan and coupe style car made after 1980 will have front-wheel drive. This is a two-wheel drive system where all of the engine’s power goes to the front wheels, which results in the vehicle pulling down the road. Because most vehicles have front engines, there’s much less interference in sending the power directly to the front wheels. Front-wheel drive also gives the vehicle better traction in most cases. This kind of vehicle typically reduces production costs and improves fuel efficiency, so it remains the most popular and common drivetrain. With the advent of traction-control systems, front-wheel drive vehicles are even more stable than before. This system is rare in the present-day vehicles. Two examples of present-day RWD vehicles are two-wheel drive pickup trucks and sports cars. It’s a necessary system on two-wheel drive trucks due to how light the truck bed is. A pickup with front-wheel drive would be almost impossible to drive due to the lack of traction. In rear-wheel drive systems, the engine power transfers to the back wheels, which results in the vehicle pushing down the road. This allows for better handling with high horsepower and heavy vehicles such as trucks. However, rear-wheel drive vehicles are notorious for poor handling in slippery conditions. Rear-wheel and front-wheel drive as two-wheel drive systems are self-explanatory. But when it comes to four-wheel drive systems, what is the difference between all-wheel and four-wheel? Can you use these terms interchangeably? Technically, the answer is yes. 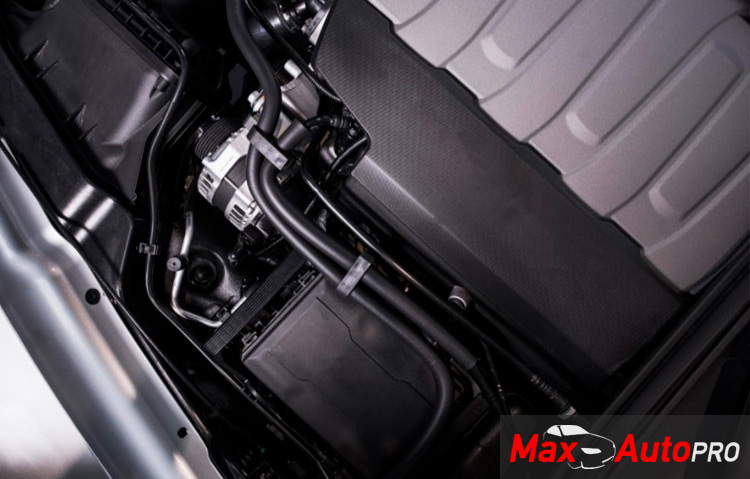 In any all-wheel system, the engine’s power goes to all four wheels, which allows for superior handling in most cases. An increasing number of passenger cars, SUVs, crossovers and minivans have full-time all-wheel drive systems. However, there is a key difference between vehicles branded with AWD and those branded with 4WD. Vehicles branded with 4WD are typically trucks and SUVs. The key difference between 4WD and AWD is that the former systems are tougher to handle driving off-road. To sum up, AWD systems are for better traction on the road while 4WD vehicles are for on-road traction and off-road ability. Many 4WD systems are part-time, which allows the vehicle to revert to a two-wheel drive system when 4WD isn’t necessary. The vast majority of passenger vehicle drivers are fine with a front-wheel system, but if you are considering a truck or sports car, then you may find yourself looking at the other drive systems.